This adorable little retro style cotton blend shorts set is made by Sarah Louise, a top British designer of beautiful baby garments. 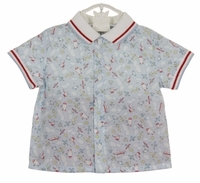 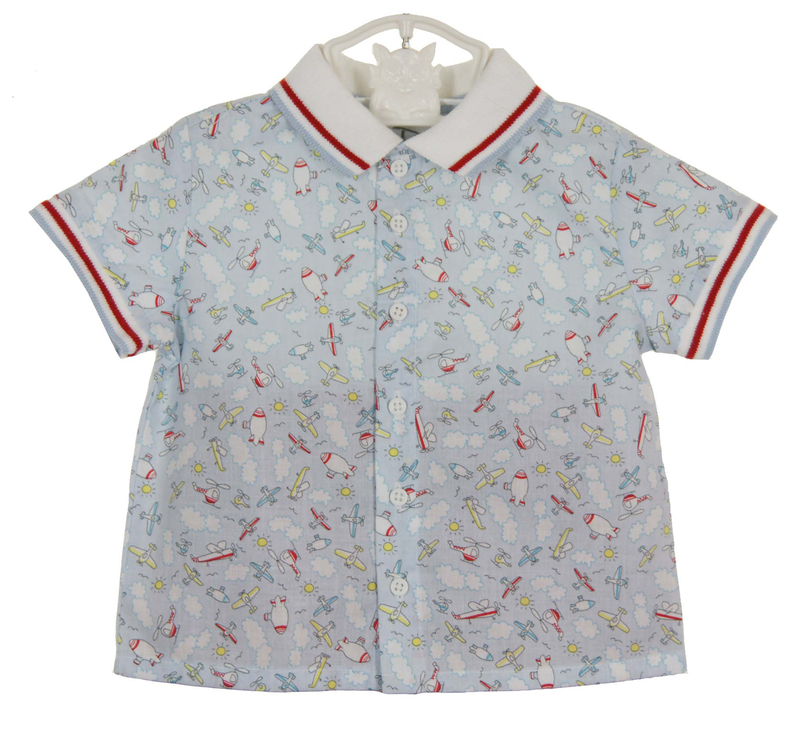 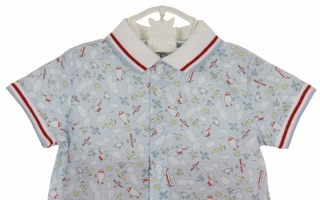 The vintage airplane print shirt with front buttoned closure has a knit collar and short sleeve cuffs with red and light blue trim. 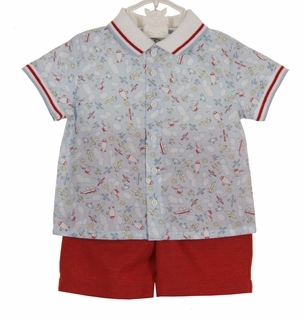 The red shorts have a zip fly front, front and back pockets, and an adjustable elasticized back waist. Perfect for your stylish baby or toddler boy!